The day when women around the world mark their own a holiday in Japan is a day of mourning, and the reason for this is that on March 8, 1935, the Hachiko dog died in Tokyo. Hachiko has waited 9 years at a station in the Japanese capital returning his dead man. Over the years the dog has become a symbol of undying loyalty and devotion. 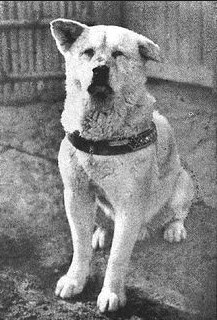 Hachiko is a Akita-Inu dog and appeared on November 10, 1923. His first owner is a Akita farmer who decides to give it to Professor Hidesaburo Ueno of Tokyo University. He gave him the name Haccio, which means the Eighth. The dog clings to his owner and follows him everywhere. Even when the professor traveled to the city for work, the pet mate accompanied him to Sibiu Station and exactly 15 hours later he returned to the same place to meet him. On May 21, 1925, Professor Hidesaburo Ueno received a heart attack during a lecture at the University. Despite the doctors’ efforts, he died and never appeared at the station where his dog is waiting for him. Then Haccio was 18 months old and although his owner does not appear, he continues to come to the station every day and patiently wait. Friends and relatives of the deceased professor have made numerous attempts to shelter the dog, but he continued to walk to the station and wait for his owner. Admired by his obstinacy, merchants around the station fed him. Hachiko became famous in 1932 when a Japanese edition published the article A betrayed old dog expects the return of his owner who died seven years ago. The passionate story conquers the hearts of people all over the world. In 1934 at the Sibiu station, they erected a memorial of the waiting dog, and Hachiko was present at the event. During the Second World War, the monument was destroyed, but in 1948 the Japanese rebuilt it. 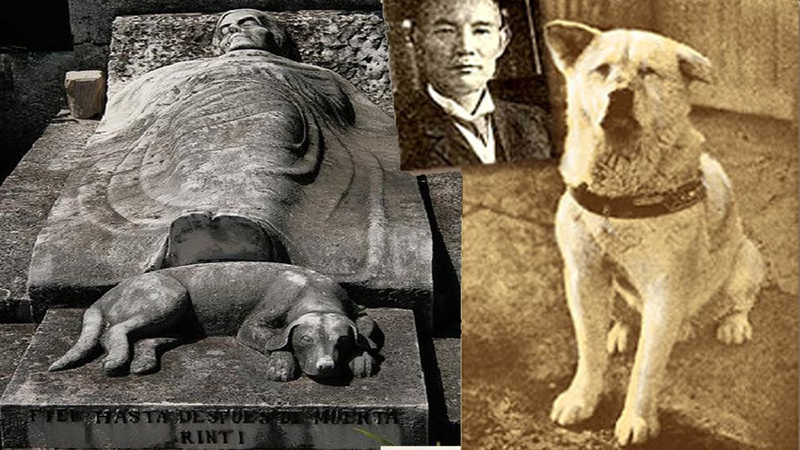 Hachiko died on 8 March 1935 from cancer and parasitic worms in the heart. His body was found by railwaymen not far from the train station, where he was waiting for the return of his owner for 9 years. His remains are buried at the Aoyama Cemetery in Tokyo. Every year in Japan, they hold Hachiko Fest and take great pride in the monument to the true dog.